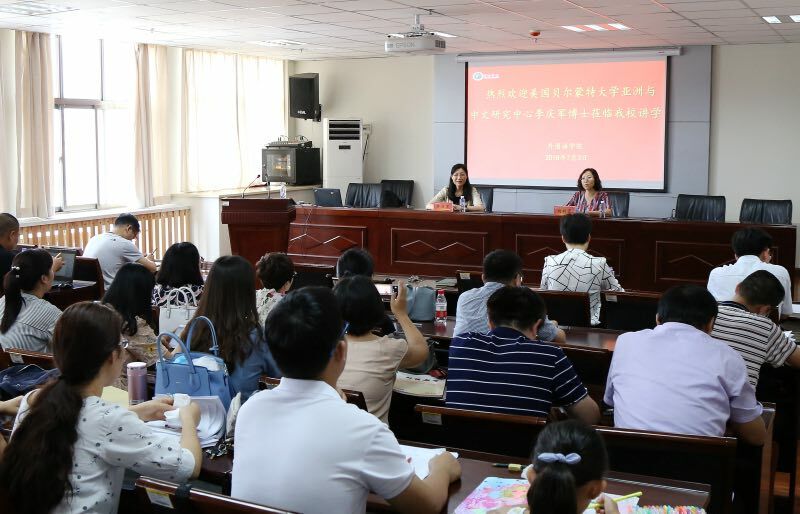 Associate Professor of Asian Studies & Chinese Language Dr. Qingjun (Joan) Li was invited to be a keynote speaker by Xuchang University, Henan Province, China earlier this summer. The talk was given for the 2018 Faculty Professional Program of the School of Foreign Languages. Li addressed the faculty on the topic of “Thoreau’s Embrace of Daoist Ideology in His Political Writing” and examined how Daoism influenced Thoreau’s discontent with civil society and its pressures toward conformity evidences in both Walden and in the earlier essay “Resistance to Civil Government.” The talk generated multiple questions and discussions among the professors of literature and language.